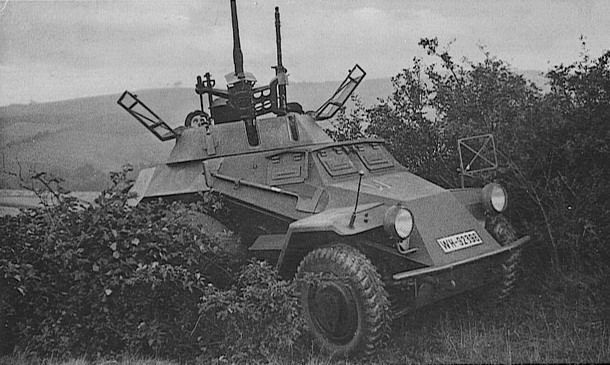 The first of the seven series of SdKfz 222 were noticably different from later models. The most obvious differences were the simpler version of the driver’s visors, the rear engine grill and the unusual hub caps. They also had a shallower grenade screen on top of the turret. In this guise, the 222 took part in all early campaigns and there were still examples of these early chassis in use in 1942. 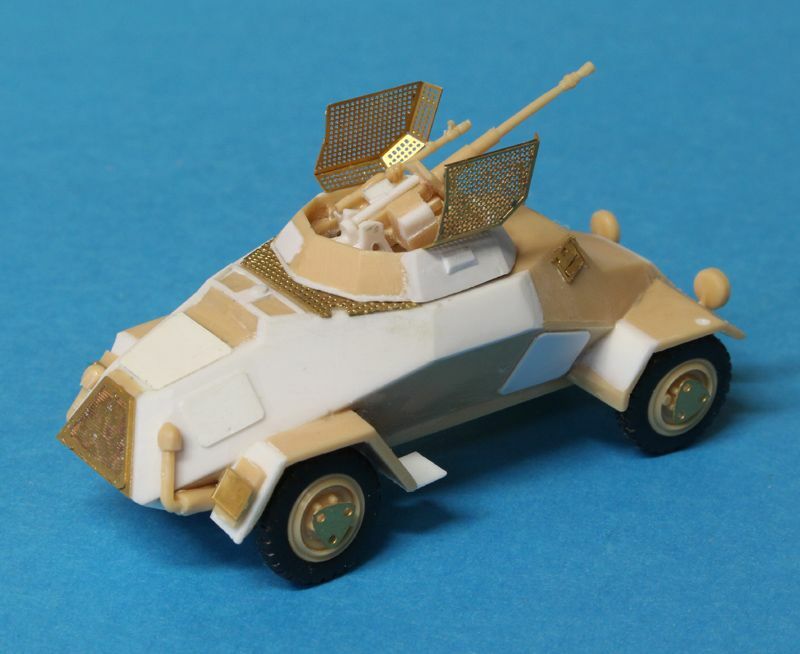 Its main role was reconnaissance and protecting the larger cars with long range radio equipment. 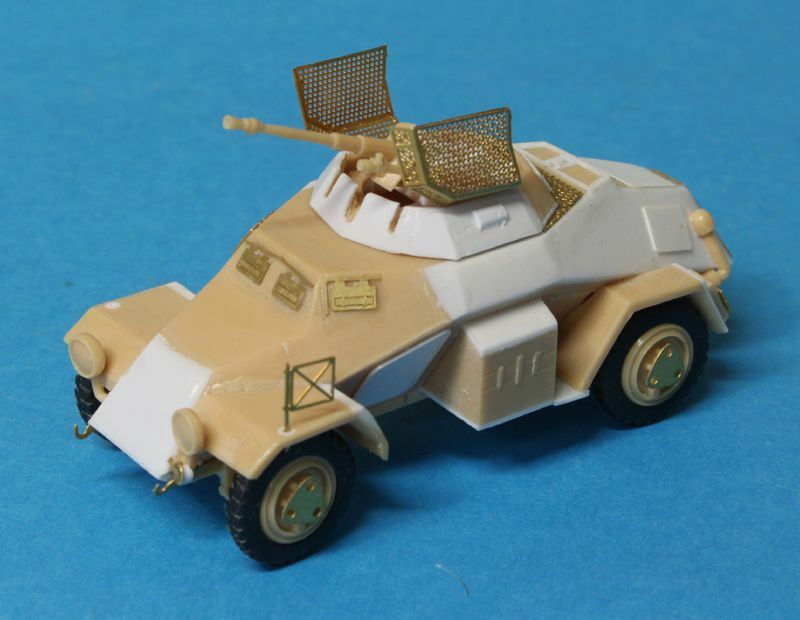 The parts can be used on the Fujimi SdKfz 222, and the example photographs follow such a build, but the Airfix kit will be easier. As you can see, there is quite a lot of work needed to correct the structure and, in particular, the small turret.